Get our seasoned legal team behind your case! Shoplifting may seem like a small, insignificant crime, but it can carry major penalties and consequences. Though many people may think that shoplifting seems like a harmless action, those that are caught will be up against tough charges. That is why you must take your charges seriously and obtain the counsel of a qualified San Diego criminal defense lawyer. You need to make sure you have a strong defense against your charges. We can help you identify the weaknesses in the prosecution’s case and work to get your charges resolved in the best possible manner. It is also important to understand the penalties you could be facing for your shoplifting charges. If the value of goods that are involved in a shoplifting incident is between $50 and $400, the crime is charged as petty theft. A first time offense is generally charged as a misdemeanor and will likely involve a fine and informal probation, although jail time of up to 6 months can be sentenced. Further petty shoplifting offenses can bring felony charges and up to 16 months in prison. If the shoplifting incident involved property valued over $400, you may face the more serious charge of grand theft. If you have previous offenses on your record, stole items like a hand gun or weapon, or the store owner decides to pursue a lawsuit against you for damages, you could be facing much more serious penalties and consequences. Don’t Wait to Enlist Strong Legal Defense! At The Law Offices of Top Criminal Defense Law Firms, APLC, we have been zealously defending clients from all types of theft charges, such as shoplifting, for numerous years. As former public defenders, we have unique insight as to how the prosecution will likely approach your case. This gives us the advantage to either favorably negotiate your charges or fight for a dismissal. Whatever the case, you can rest assured knowing we are fully prepared to take on your charges. You cannot afford to try and fight your shoplifting charges on your own! 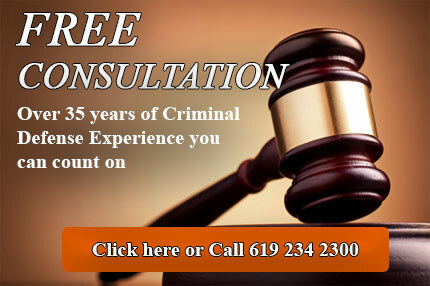 Get our San Diego criminal defense firm on your side today. Call now to schedule your free case evaluation with our experienced legal team.